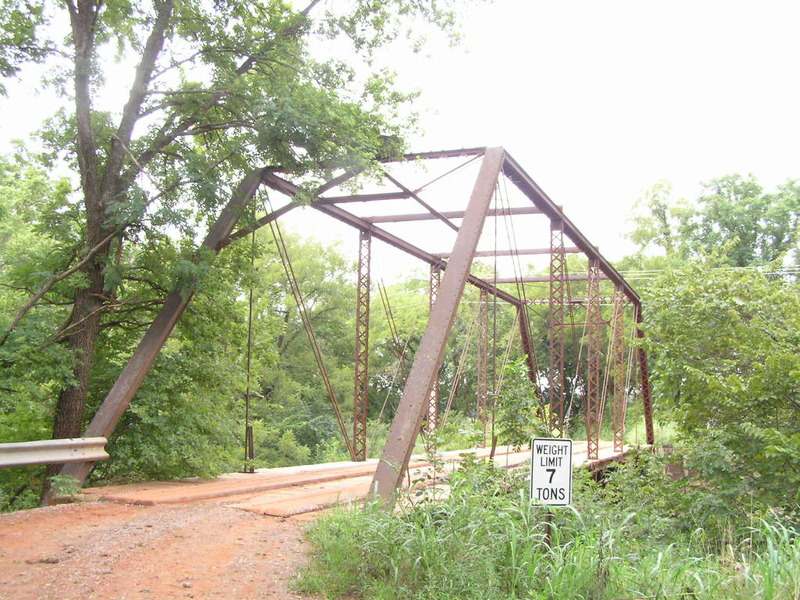 Built in 1908 by the celebrated Canton Bridge Co, of Canton Ohio; this 102-foot long pin-connected thru Pratt span carries Dobbs Road over Bear Creek in the eastern part of the county. 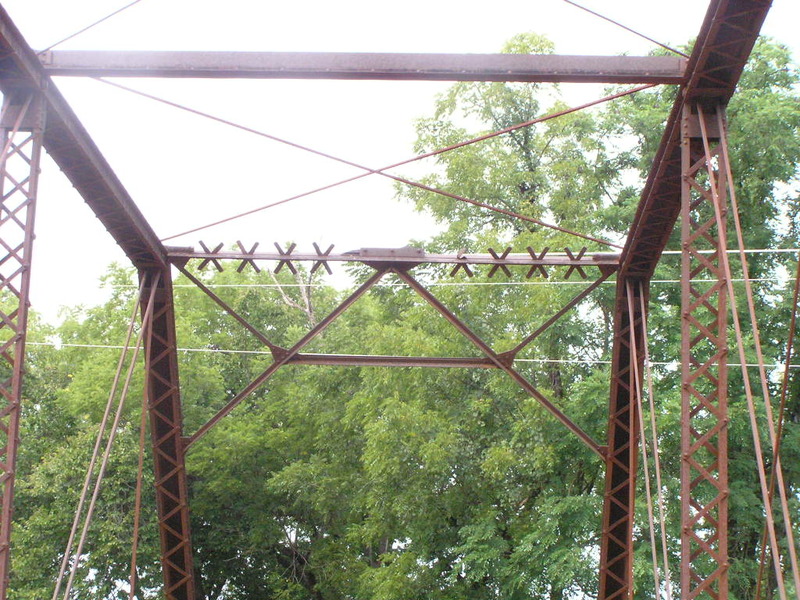 Below, an angle view of this well-preserved old bridge. Above, the builder's plaque, still on the bridge. Several other Canton Bridge Co. thru spans exist in Logan Co, but this is the first one I have seen with its plaque still in place. 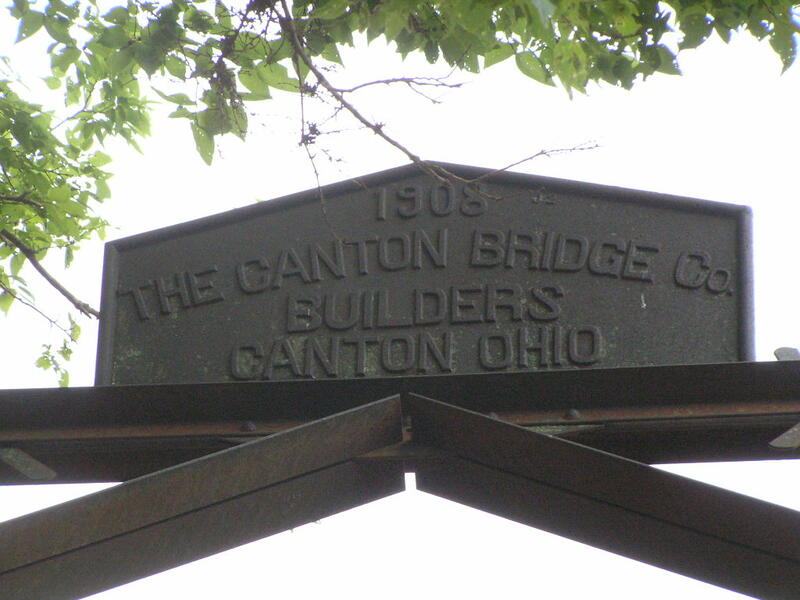 For big bridges, The Canton Bridge Co. was one of the most popular builders until circa 1915. Below, a view from behind of the portal frame. 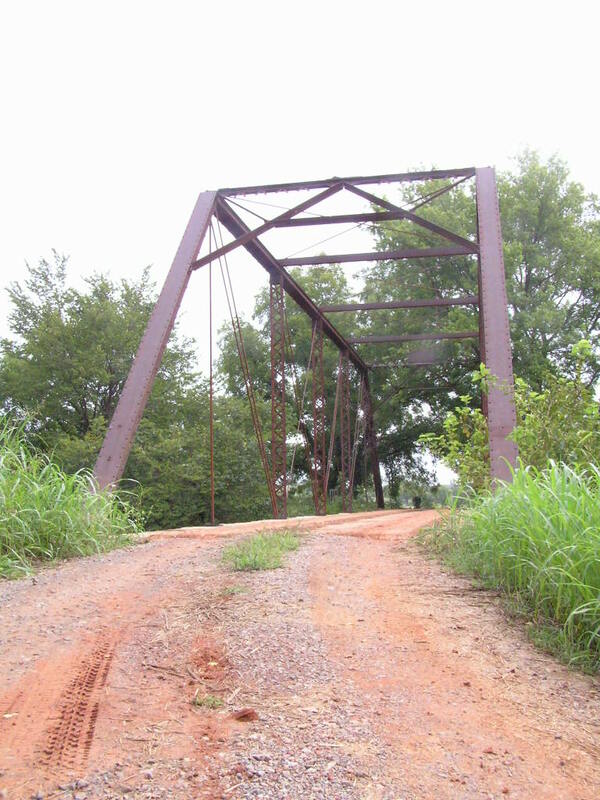 The "X"s are a decorative feature unique to the A-frame portals of Canton Bridge Co. spans. 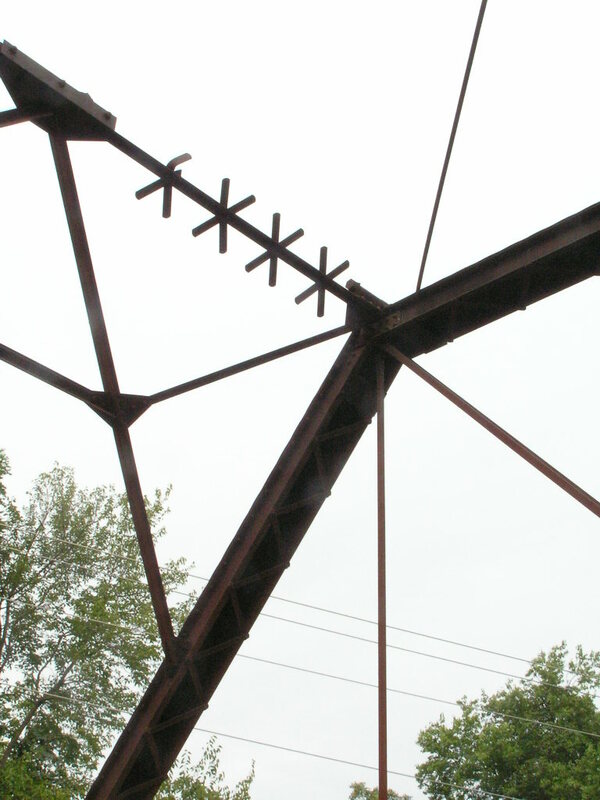 Above, detail of a typical upper chord connection. 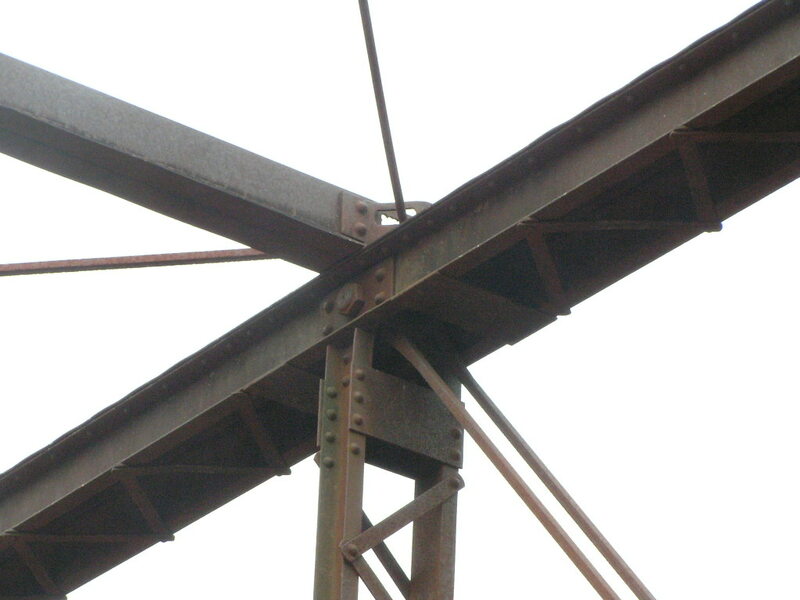 Below, detail of hip connection showing method of attaching upper chord to inclined endpost, and portal frame to truss. The hip vertical is a single 1-inch square rod. Above, another view through the bridge. Note on both endposts you can see ghost outlines from what might have been other plaques. 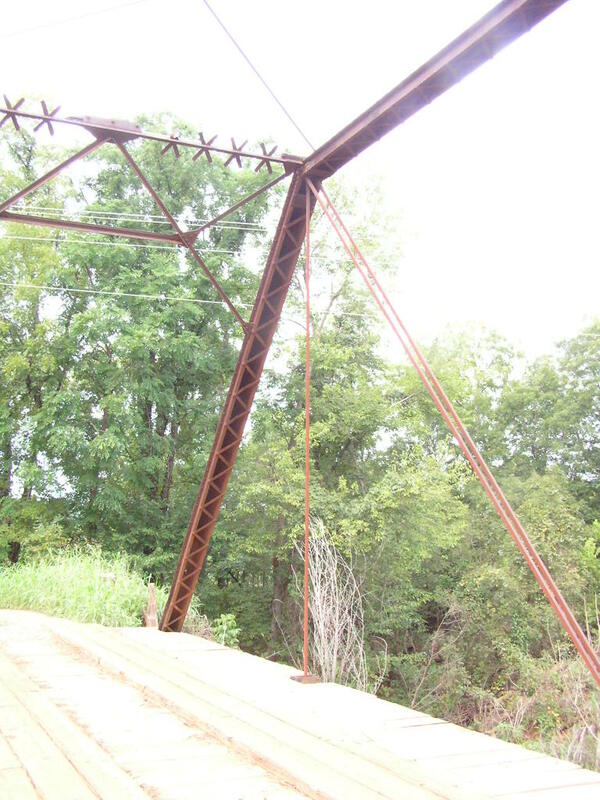 Below, connection of hip vertical with floorbeam. 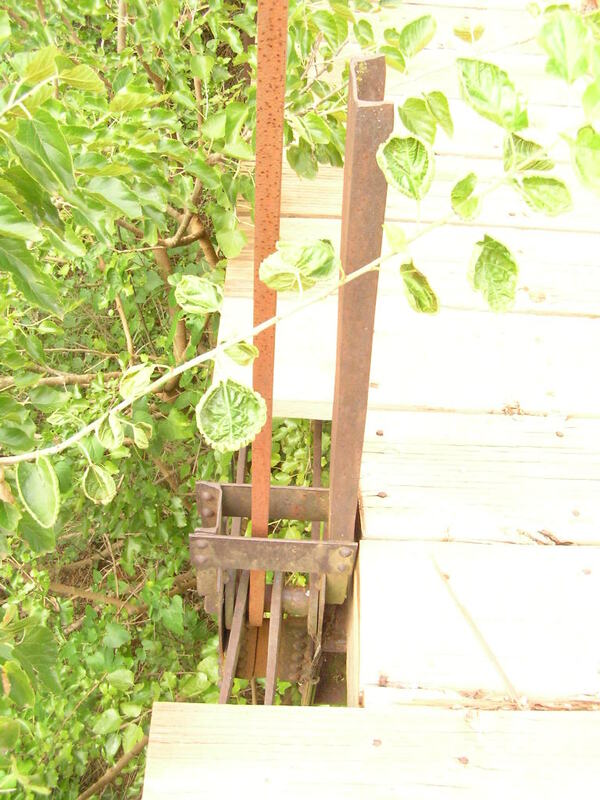 The long channel sticking up alongside the hip vertical was for attaching railings, which would have been wood on this bridge. Above, another hip connection. Note the extra channel is here missing. 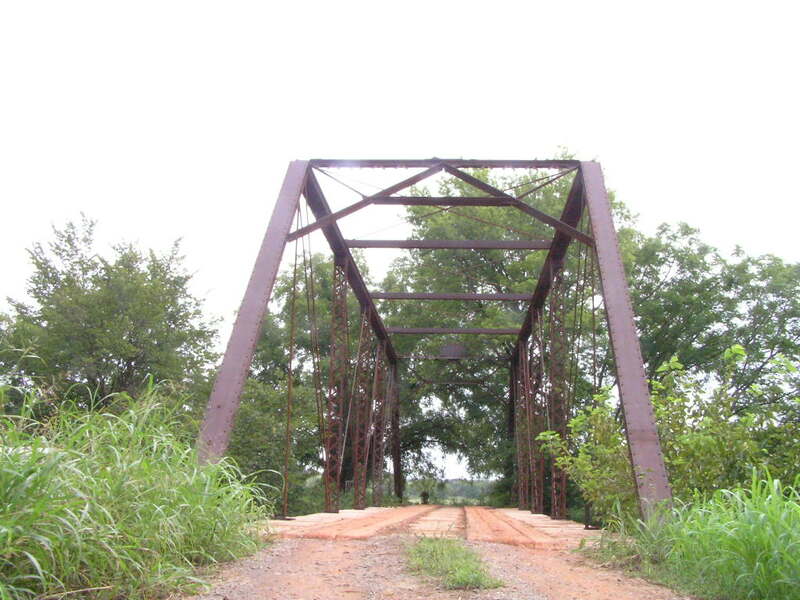 Below, this is really a fine old bridge, and the oldest steel span in Logan County. Several other spans nearly identical to this one exist in Logan County, all built by The Canton Bridge Co. Clearly, The Canton Bridge Co. had a strong presence here.